Hi. 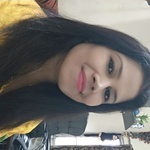 I am Nivedita,I have over 6 years of experience in Field of HR , Marketing and in business development in IT fields. From past two years I am working remotely as client relationship...Read moreHi. I am Nivedita,I have over 6 years of experience in Field of HR , Marketing and in business development in IT fields. From past two years I am working remotely as client relationship manager with IT recruitment firm based in USA CTI Infotech and as Client support specialist with Hotel Marketing Agency based in Georgia USA. Looking out for long term career role.